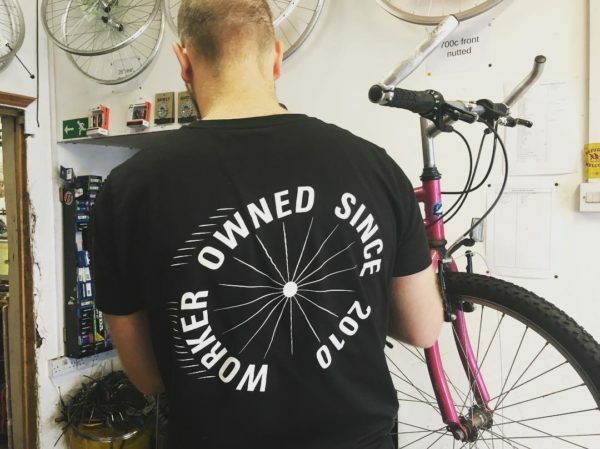 Official Bike Foundry merch is finally here! Join us in saying no way to bosses with this t-shirt available in both green and black with white print. Screen printed by our Stirchley friends; Get a Grip studio on Soil Association approved tees. They come in sizes small, medium and large and have the Bike Foundry logo on the left breast.